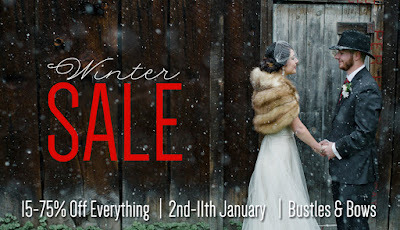 Our fabulous Winter Sale is now on here at Bustles and Bows. No appointment necessary, just pop in! SALE ENDS MONDAY 11TH JANUARY 2016.